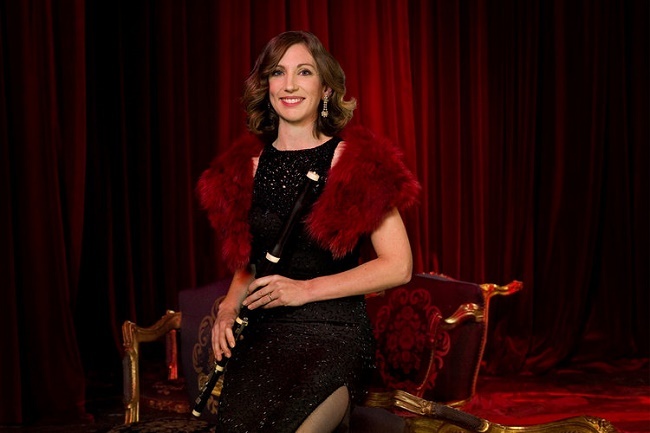 Above : Period flautist Melissa Farrow. Featured image : Some of the AHE members for the 2018 season. illustration of the composer building his reputation during working visits to London after 1791.
arrangement. This programming allowed for a flexible and shifting instrumental line up. Franz Joseph Haydn’s marketable versatility and unique style of musical gesturing was attractively displayed through the performance of all three works on the programme. The drama, delicacy and driving excitement of Haydn’s Symphony No 104 in D major ‘London’ (1793) was a powerhouse manipulation of a familiar favourite and its interpretation was a standout moment in the evening’s programme. ensemble performance and maintained the grandeur and excitement of the symphony written for larger forces. demonstrated how well a version substituting violin for one of the flutes works too. Anton Baba’s rich and secure cello part was fine grounding for the nicely wrought lines in the higher instruments. This was a very suitable start to the concert and an introduction to Haydn’s eloquent chamber music language. original form and sans substitution or arrangement. This work is a chameleon-like treat, with great richness and a variety of utterances from all four instruments. This interpretation of ‘The Rider’ which was thrilling, carefully balanced and as arrestingly effective in this century as it must have been two and a quarter centuries ago in pursuit of Haydn’s new London fan base. the Largo assai, then to the clean structural delivery of the Menuetto and Trio and signature gallop of the finale, the music was recreated joyously and dramatically for us. This was a well-supported mid week concert to start AHE’s Sydney season for 2018. Its location-specific study of Haydn’s chamber music repertoire and period concert practice was consistent with AHE’s typically successful style of musicological treat. Future concerts in store for us this season from the Australian Haydn Ensemble [Facebook] have a wide range of content. 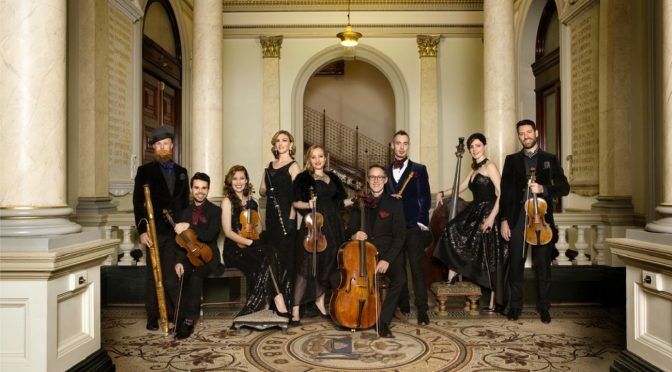 They feature guitar music, Schubert Lieder, symphonies by Beethoven and Haydn, a Mozart piano concerto and perhaps Haydn’s most famous nicknamed work, the ‘Farewell’ Symphony.